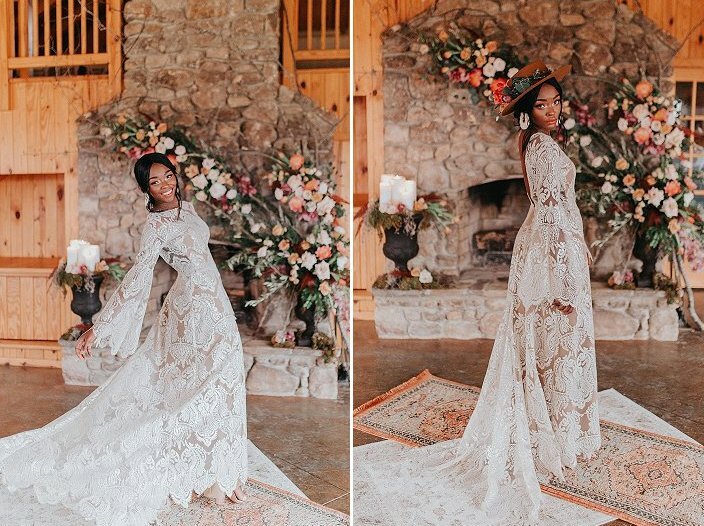 This gorgeous wedding inspirational shoot is styled in earthy tones and with bohemian vibes and was created by Jessica Dugener Photography. 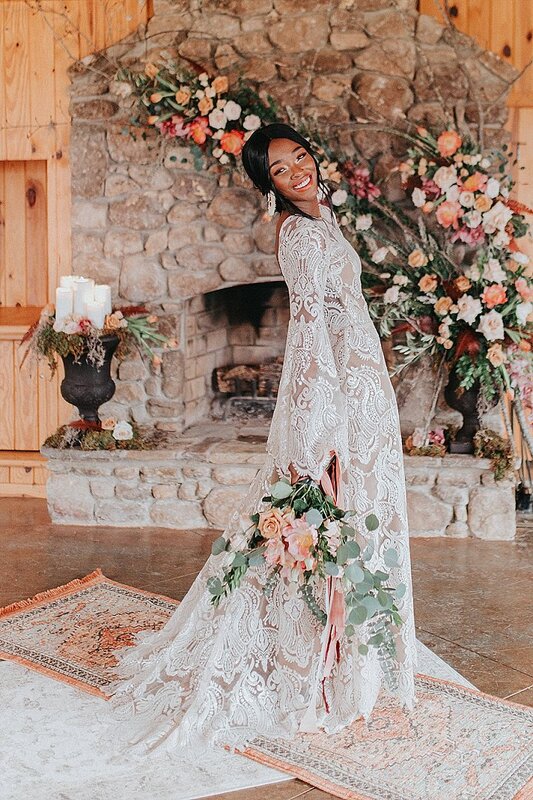 Let’s take a look at this beauty! 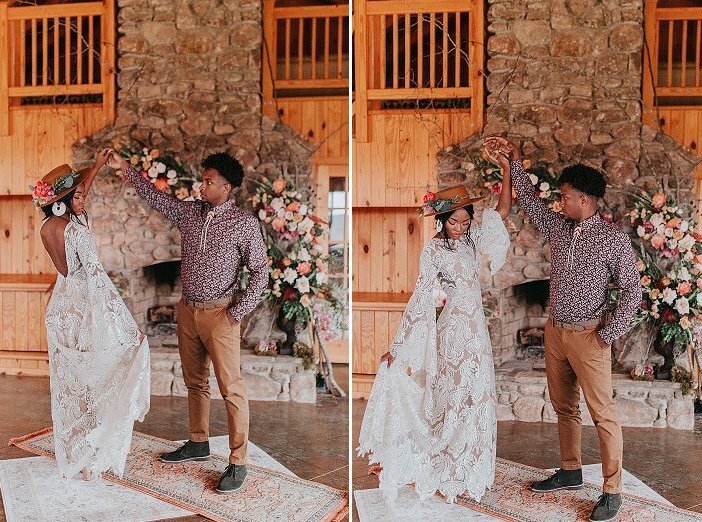 The shoot took place at Carolina Country Weddings & Events in Mount Pleasant, NC, which was the perfect location to get the warm bohemian vibes for this elopement style shoot. 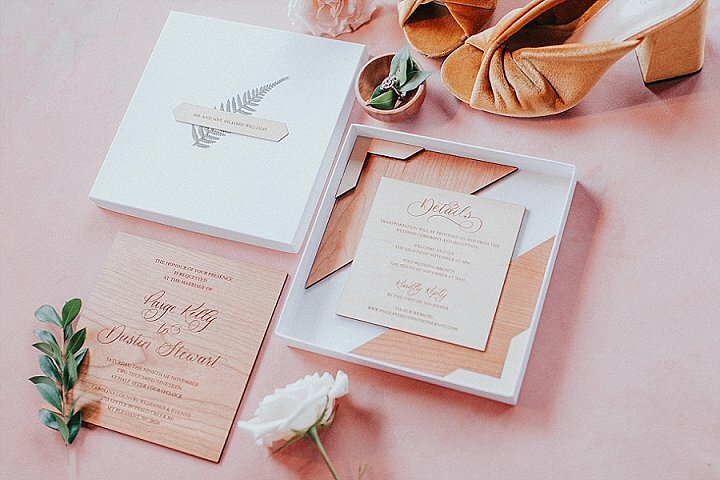 The wedding invitation suite was done with wood, which is a hot trend. 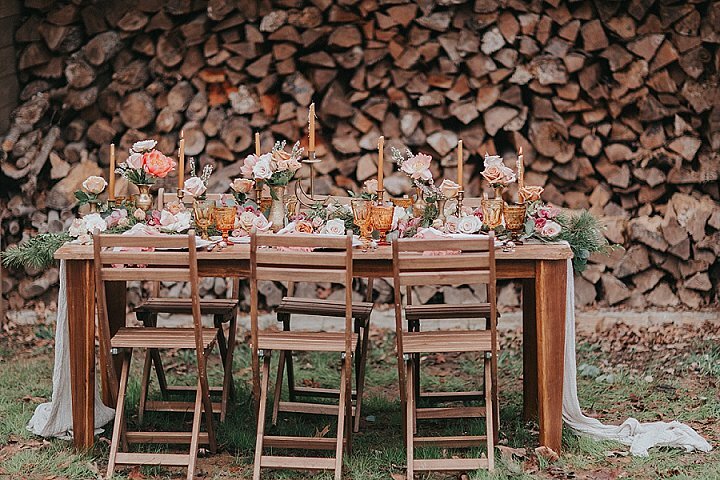 The wedding ceremony space was a large stone fireplace decorated with lush florals and an urn with moss and candles. 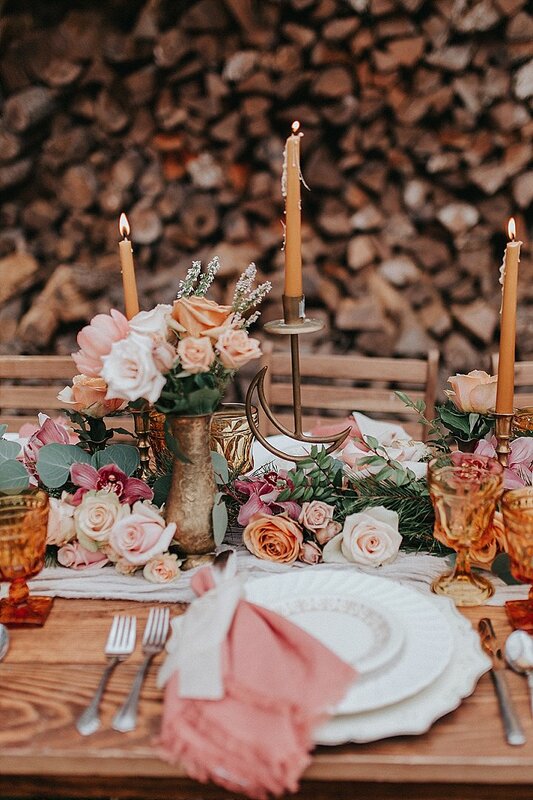 The wedding tablescape was also full of romance: with an airy white fabric runner, a lush greenery and pink and tan roses runner, candles and cute brass vases, candle holders. 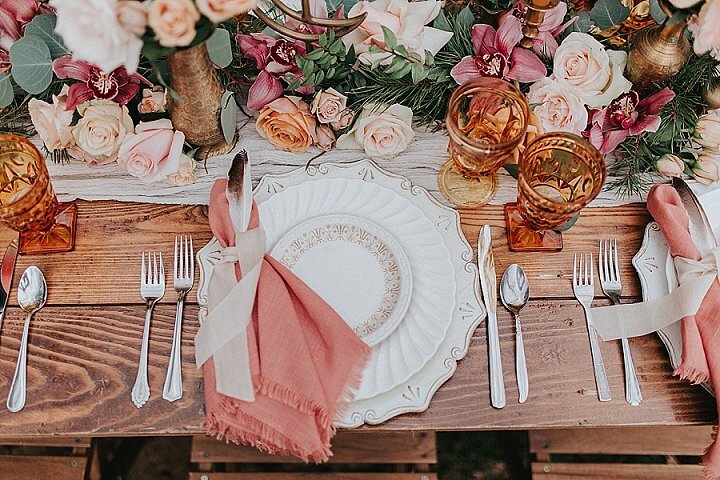 Exquisite chargers, coral napkins and neutral cutlery finished off the look. 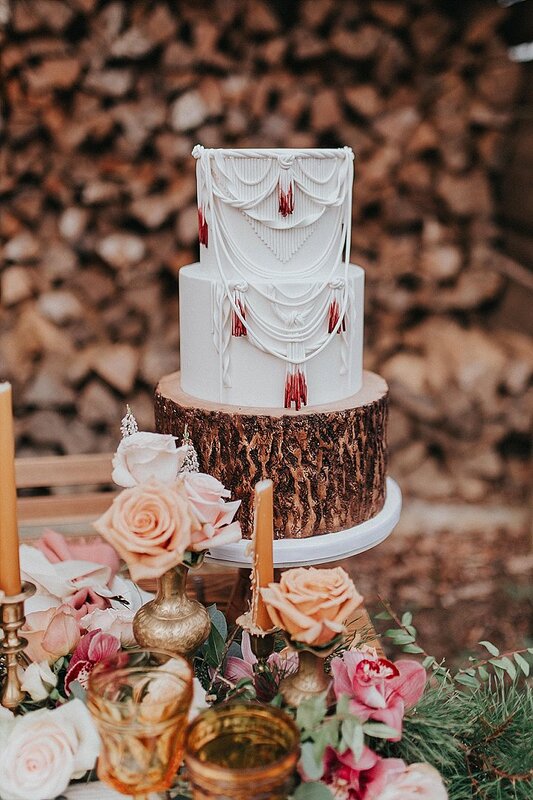 The white wedding cake was decorated with sugar fringe and yarn dipped in red. 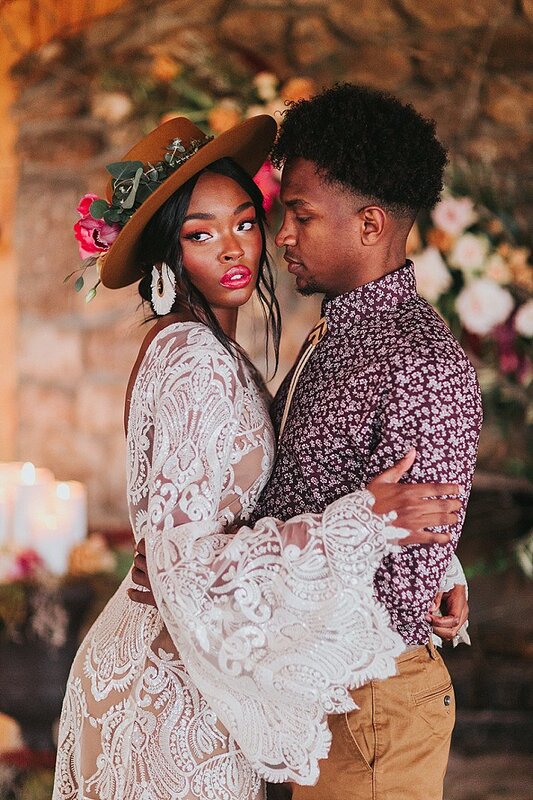 The bride was wearing a beautiful shiny boho lace wedding dress with long bell sleeves, a high neckline and a maxi skirt plus a cutout back. She was rocking an updo, statement earrings and a hat. 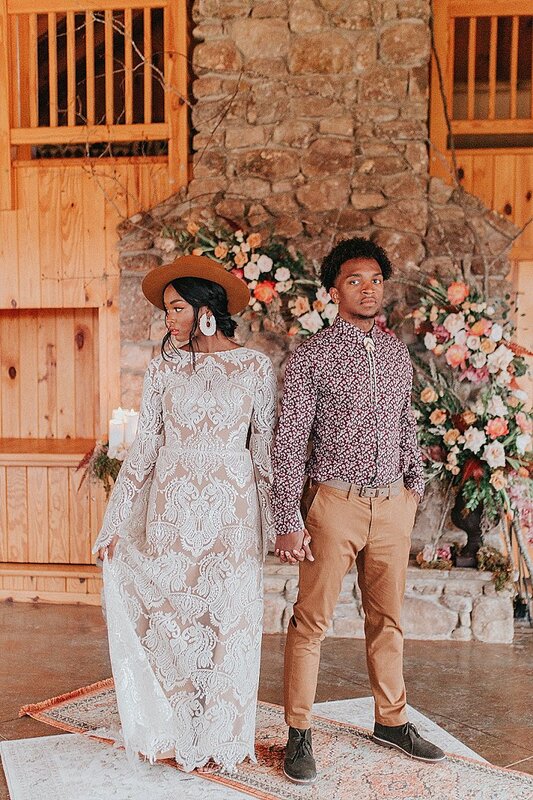 The groom was wearing a printed shirt and dark green suede shoes. 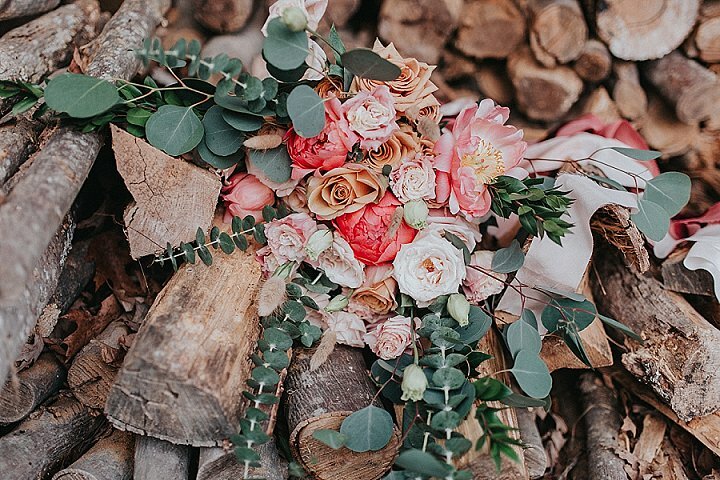 The wedding bouquet was a romantic one – with blush, pink and tan blooms and much eucalyptus. Take a look at the pics of the shoot and get inspired!